Shuja Nawaz, director of the South Asia Center at the Atlantic Council of the United States in Washington, sees Said as the most viable candidate for the leadership. What Will a New Army Chief Mean for Pakistan and the Neighborhood? Since it was announced last month that Pakistan’s army chief, Gen. Ashfaq Parvez Kayani, would be retiring, Prime Minister Nawaz Sharif has kept the country dangling on his choice, creating a new parlor game for the chattering classes in the process. General Kayani has been characteristically mum, except for an unusual press release that said he was leaving the office on November 29, without closing out other options, even as he accepted the concurrent role of chairman of the Joint Chiefs of Staff. Mr. Sharif could begin consolidating his power by making an early and firm choice to replace General Kayani. Explaining the reason behind the choice would end speculation about the process. Currently, the only certainty appears to be the fact that there will be a new army chief come the end of November 2013 and whoever gets the prime minister’s nod will be a changed person after that, for the office in many ways makes the man. The top five in order of seniority all are highly trained professionals, each with certain proven qualities and different backgrounds. All except one are Punjabis, an unusual coincidence in a military that has a substantial Pakhtun presence and at a time when the army is fighting a war inside its borders in the Pakhtun territories. The prime minister should be looking for a leader who will inspire the army’s rank and file, bruised by a seemingly never-ending conflict against their own countrymen. Someone who has war-fighting experience or has been part of the transformation of the Pakistan Army from a conventional army to one trained also for asymmetrical warfare. Someone who will not necessarily agree with the prime minister on everything but will be discreet in offering frank advice and let the prime minister make the policy decisions after that. Someone who will keep the army away from politics and not be a counterweight to civil power. Someone who will remain in the background and allow the transition to civilian supremacy occur over time. General Kayani, who took over from Gen. Pervez Musharraf, was a soldier at heart. He immediately headed to the forward lines of the war inside the Federally Administered Tribal Areas and made many such trips to see and to be seen with his soldiers and officers who were fighting and dying in alarming numbers. Why didn’t General Musharraf make such trips? Why didn’t the civilian leadership also do the same? That mystery remains. General Kayani also designated his first year as the Year of the Soldier and the second year of his first term to be the Year of Training. The latter was an uphill battle since an army at war has little time for training. He kept foreign relationships alive but played his cards close to his chest and surprised his American interlocutors by acting in what he perceived to be Pakistani interests, especially on the Afghan conflict. He also encouraged opening discussions with India on a broad range of issues, though his innate caution led him to tug back the government when it seemed to be moving too quickly on some fronts. His decision in 2010 to accept the three-year extension that President Asif Ali Zardari offered left a question mark on his tenure since it created a sense of indispensability and broke the career trajectory of a number of deserving generals, one of whom would have succeeded him. One day, we hope he will share his thoughts on that process and the reason it happened. The war against extremism and terrorism is not only the army’s war, but that of the whole nation. We as a nation must stand united against this threat. The army’s success is dependent on the will and support of the people. Under General Kayani, the new army doctrine finally came out, and though written in the opaque hybridized language of academia and the military –an odd combination — for the first time, it spoke of Pakistan facing a “multifaceted threat.” Instead of naming India as the only threat to Pakistan, it talked of multiple threats and tried to focus attention on the internal war being fought by the Pakistan Army. For some reason, General Kayani chose not to pursue that tack in his public utterances, allowing the civilian government to open dialogue with India on a host of issues, including trade, but demanding that progress needed to be on a broad front. His approach seemed to be “all or nothing at all.” This effectively put the brakes on any breakthrough between the two countries, given the weak coalition government of the Peoples Party on the one hand and the weak coalition led by Prime Minister Manmohan Singh in India. Mr. Sharif allowed that drift to continue. General Kayani’s offer to demilitarize Siachen Glacier after the April 2012 avalanche killed 140 Pakistani soldiers and civilians met with a brusque rebuff by India and provoked a bitter debate inside India on why it needed to protect that frozen wasteland from Pakistan and potentially China. The flare-up of firings across the Line of Control in Kashmir in 2013 added to a growing mistrust between India and Pakistan. A thoughtful man, who read whenever he had the time, General Kayani was an unusual autodidact, quite unlike his predecessor, who was not known to read much and relied mainly on oral briefings and conversations to formulate his views. General Kayani used private conversations to test his ideas but only after reading up on the subject matter. He believed strongly in his ability to present a logic and structure to his ideas, although it is unclear how effective that was in changing minds of his interlocutors, especially in the White House. There, his unsolicited and unusual presentation of his white paper on the pitfalls facing the American strategy in Afghanistan and Pakistan’s role in that situation met a cool reception after he handed the document over directly to President Obama. One American official harshly characterized the paper as “sophomoric.” Yet, President Obama, who also relies on academic and logical frameworks for his own presentations, may have found some use in the paper, which opened a window into General Kayani’s thinking. Whether General Kayani changed any minds in Washington remains an open question. 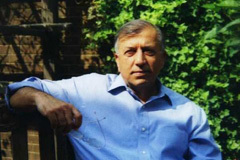 General Kayani’s abiding legacy will remain one of a general who resisted the temptation to directly intervene in politics, choosing instead to stay in the shadows – not surprising, given his background as former head of the Inter-Services Intelligence directorate, and despite the call to intervene from many in the political system. For that, he will be remembered kindly. Prime Minister Sharif’s choice of the new army chief will help define his third tenure. He has selected four army chiefs in the past, some of whom viscerally shunned politics but found themselves at odds with all for different reasons. One, Gen. Asif Nawaz, died in office in 1993; another, Gen. Abdul Waheed, persuaded Mr. Sharif and then-President Ghulam Ishaq Khan to resign simultaneously in 1993. A third, Gen. Jehangir Karamat, resigned in 1996. The fourth, General Musharraf, upended Mr. Sharif’s government in 1999 after the Kargil War debacle and after Mr. Sharif sought American help to end that conflict with India. The prime minister will have another shot at naming an army chief three years hence, if he completes his own five-year term. In that sense, the choice this month is important to continue the trajectory of civilian control of the military and must be matched by civilian competence and responsibility. If all this were to happen and Mr. Sharif selects the professional of his choosing and two consecutive military transitions occur on his watch, without any extensions or back-room deals, Mr. Sharif will have put his stamp on governance, and Pakistan wins. Nawaz: What Will a New Army Chief Mean for Pakistan and the Neighborhood? Since it was announced last month that Pakistan’s army chief, Gen. Ashfaq Parvez Kayani, would be retiring, Prime Minister Nawaz Sharif has kept the country dangling on his choice, creating a new parlor game for the chattering classes in the process. General Kayani has been characteristically mum, except for an unusual press release that said he was leaving the office on Nov. 29, without closing out other options, even as he accepted the concurrent role of chairman of the Joint Chiefs of Staff. India is quickly becoming the second-largest victim of cyberattacks after the United States and earlier this year released its first national Cyber Security Policy, which aims to ensure a secure and resilient cyberspace for citizens, businesses, and the government. Ambassador Latha Reddy, former deputy National Security Advisor of India, emphasized that the intent of India’s Cybersecurity Policy is to strengthen the role of its Computer Emergency Response Team (CERT-In) in coordination with crisis management efforts and awareness-raising activities on cybersecurity during an event kicked off with an introduction by South Asia Center Director Shuja Nawaz and moderated by Cyber Statecraft Initiative Director Jason Healey. Alongside protecting the country’s cyber infrastructure, the policy strengthens the significant role IT has played in transforming India’s image to that of a global player in providing IT solutions of the highest standards. The realization that cybersecurity should be at the forefront of national security efforts came to India after the 2010 Commonwealth Games, which exposed numerous potential vulnerabilities within the country’s national critical infrastructure. India desires to address the goal of achieving a safe and stable cyber environment in a comprehensive manner. Current focus centers on capacity and infrastructure building which will enable establishment of secure and resilient cyberspace that will not only protect the country’s networks from criminal activity and espionage but ultimately also from acts of cyber warfare. As Ambassador Reddy pointed out, building consensus around the need to secure cyberspace comes from understanding of threats to common users and extending educational efforts to services not typically associated with cyber arena, such as law enforcement and judiciary. Government plays a crucial role in securing cyberspaces, but only an approach inclusive of civil society, academia, and private sector will yield practical and comprehensive solutions to cyber challenges. There are multiple benefits, extending beyond the inclusiveness of policies, gained from involvement of private sector in decisions regarding cyber security. Ambassador Reddy emphasized the example of India now being one of the nations authorized to certify IT products, which greatly empowers the country’s IT industry. India’s ultimate goal is to raise itself to the level of cybersecurity “power house,” a role to which the country has solid predispositions for as it has an extensive number of IT professionals. Another element of a comprehensive cyber strategy is finding the balance between individual freedoms and imperatives of national security. Ambassador Reddy stated that there is an inherent tension between the right to free speech, and the government’s role in protecting the public from harmful misinformation in India. This challenge is of a global character touching on issues ranging from individual and national security to internet governance. The issue is, Ambassador Reddy stressed, that national paradigms are imposed on something that is essentially an international space. In case of India, there is a realization and acceptance of certain level of intrusion in the privacy sphere given the past experiences with terrorist attacks. It is paramount that the nature of the Internet as the general commons be reflected in the way its architecture is set up and the mode of its governance. The Ambassador stressed that there is a need to make existing systems of governance, including the management of core internet resources more democratic, more transparent and more representative. India is committed to global, regional, and bilateral dialogue on these issues. Another area where balancing diverging interest occurs in India is e-governance. The country embraced the opportunities that electronic devices offer in conducting elections while assuming risks from cyber attacks, acknowledging the role of e-governance in improvement of overall governance in the country.